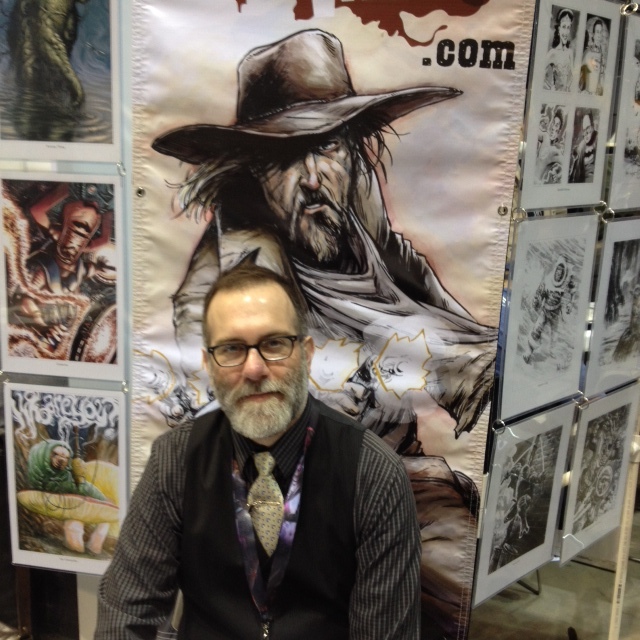 Another Pittsburgh-based comics maker, Wachter moved here from Cincinnati via Chicago. A long time comics professional noted for his rare combination of dynamic composition and highly detailed rendering, Wachter has worked on a wide variety of comics projects, and has been nominated for both an Eisner and a Harvey award. Counted among his works are Night of 1,000 Wolves, Breath of Bones and Guns of Shadow Valley, published by IDW and Dark Horse.